Gostkowski converted four of his five field-goal attempts en route to logging 13 points in Monday night's 25-6 win over the Bills. Analysis: Over his last five games, all New England wins, Gostkowski has combined for 56 points. While kicking behind the Patriots offense, Gostkowski remains a reliable fantasy option. Those who have been relying on Gostkowski will, however, need to find a replacement for him after Week 10, with the team on bye in Week 11. Gostkowski converted his only field-goal attempt (from 29 yards) en route to logging eight points in Sunday's 38-31 win over the Bears. Analysis: Gostkowski has now scored at least eight points in all but one of his seven games this season. He's racked up 64 points overall, which ranks fourth in the NFL. With the New England offense now rolling, Gostkowski looks like a reliable fantasy option straight through Week 10. The Patriots have their bye in Week 11. 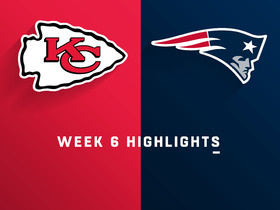 Gostkowski hit all five of his field-goal attempts in Sunday's 43-40 win over the Chiefs, en route to logging 19 points. Analysis: Gostkowski obviously isn't going to rack up that many points every week, but he does profile as a strong fantasy kicking option going forward now that the Patriots offense has hit its stride. Gostkowski converted his only field-goal attempt (from 45 yards) en route to logging eight points in Thursday's 38-24 win over the Colts. Analysis: Through five games, Gostkowski has logged 37 points, but his fantasy cause going forward is boosted by the fact that the Patriots offense has clicked over the last two games and notably welcomed slot maven Julian Edelman back to the pass-catching mix Thursday. Gostkowski converted his only field-goal attempt (from 20 yards) en route to logging eight points in Sunday's 38-7 win over the Dolphins. Analysis: Gostkowski's fantasy prospects ahead of Thursday night's game against the Colts have brightened now that the Patriots offense appears back in gear after a couple of duds. With Julian Edelman scheduled to return from a four-game suspension this week and talented wideout Josh Gordon now in the mix, the team's attack features some upside moving forward, especially if rookie running back Sony Michel is able to build off his strong effort in Week 4. Gostkowski converted his only field-goal attempt (from 36 yards) en route to logging four points in Sunday's 26-10 loss to the Lions. Analysis: The Patriots offense was shaky in Week 3 and that hampered Gostkowski's fantasy prospects. Back-to-back losses are cause for concern, but a bounce-back could be in store this coming weekend against Miami, as it's hard to imagine QB Tom Brady not improving on the paltry 133 passing yards he recorded against Detroit. Gostkowski made two of his three field-goal attempts en route to logging eight points in Sunday's 31-20 loss to the Jaguars. Analysis: Gostkowski has logged 17 points through the first two weeks of the season and his Week 3 prospects appear solid thanks to a favorable matchup against the 0-2 Lions, who have been outscored 78-44 to date. Gostkowski made both of his field goals en route to logging nine points in Sunday's 27-20 win over the Texans. 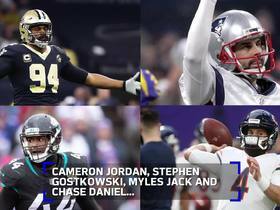 Analysis: Gostkowski, who logged a fantasy-friendly 156 points in 2017, continues to profile as one of the league's more reliable options at his position, given his favorable team context. Gostkowski made two of his three field-goal attempts in Friday's preseason loss to the Panthers. Analysis: Gostkowski appeared a bit shaken up after making a tackle in the Patriots' second preseason game, but that didn't amount to anything as he played Friday and remains the only kicker on the team's roster. Gostkowski is coming off a 2017 campaign in which he logged 156 points, just two points shy of Greg Zuerlein's league-high mark. Heading into the coming campaign, Gostkowski will continue to profile as one of the league's more reliable fantasy kickers, given his favorable team context. 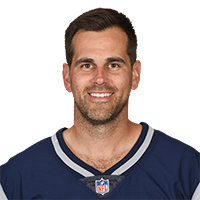 Gostkowski (arm) went to the locker room after making a tackle on a first-quarter kickoff Thursday against the Eagles, Michael Giardi of NFL Network reports. Analysis: According to Giardi, Gostkowski shook his right arm while he was examined by the training staff. The Patriots can be tight-lipped with the health of their players, but the nature of the injury is sure to leak out at some point. Gostkowski continues to earn the praise of Patriots head coach Bill Belichick as training camp ramps up, Hayden Bird of the Boston Globe reports. Gostkowski made 37 of his 40 field-goal attempts during the 2017 regular season, en route to logging 156 points, which trailed only Greg Zuerlein of the Rams, who recorded 158 points in 14 games. Analysis: Gostkowski, whose career high in points is 158 (in 2013), continues to benefit from working behind New England's Tom Brady-helmed offense. 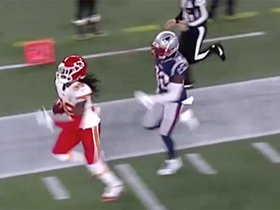 The 2006 fourth-rounder, who turns 34 on Jan. 28, is under contract with the Patriots next season and slated to earn a base salary of $3,200,000. Looking ahead to 2018, Gostkowski will continue to profile as one of the league's more reliable fantasy kickers, given his favorable team context. Gostkowski made his only field-goal attempt (from 21 yards) in Sunday's 26-6 win over the Jets. Analysis: Gostkowski logged six points in the contest, which brought his regular-season total to a fantasy-friendly 156. That's a mark surpassed only by Greg Zuerlein of the Rams, who logged 158 points in 14 games. Gostkowski made all three of his field-goal attempts (from 21,40 and 34 yards) in Sunday's 37-16 win over the Bills, en route to logging 13 points in the contest. Analysis: Gostkowski has now recorded a fantasy-friendly 150 points through 15 games, a mark topped only by Greg Zuerlein of the Rams, who had recorded 158 points prior to landing on IR this past week. Gostkowski made both of his field-goal attempts (from 32 and 46 yards) en route to logging seven points in Sunday's 27-24 win over the Steelers. Analysis: Gostkowski, who missed one of his two extra-point attempts, now has a fantasy-friendly 137 points through 14 games, a mark topped only by Greg Zuerlein of the Rams, who has recorded 158 points to date. Gostkowski made both of his field-goal attempts (from 46 and 33 yards) in Monday night's 27-20 loss to the Dolphins. Analysis: Gostkowski -- who added two extra points in the contest -- is now averaging exactly 10 points a game over the course of 13 contests, a pace that puts him second in scoring among NFL kickers, behind only Greg Zuerlein of the Rams (148 points). Gostkowski made all three of his field-goal attempts (50, 31 and 39 yards) in Sunday's 23-3 win over the Bills en route to recording 11 points in the contest. Analysis: Gostkowski, who made a 50-yard attempt Sunday, now has 122 points over the course of 12 games. 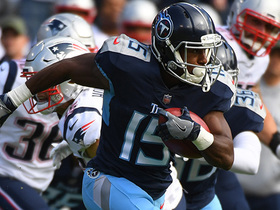 Heading into next Monday's game against the Dolphins, he's poised to surpass his 2016 season total of 127 points, with four more regular-season games on tap for the Patriots. 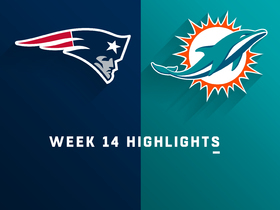 Gostkowski made all five of his extra-point attempts in Sunday's 35-17 win over the Dolphins. Analysis: For just the second time this season, Gostkowski did not attempt a field goal, as the Patriots hit paydirt five times and were not stalled to the point that they turned to their kicker, who hit a career-best 62-yarder in Week 11's win over the Raiders in Mexico City. Chances are, Gostkowski will have added point-scoring opportunities on the road against Buffalo in Week 13. Gostkowski hit all four of his field-goal attempts in Sunday's 33-8 win over the Raiders, en route to notching 15 points in Week 11. 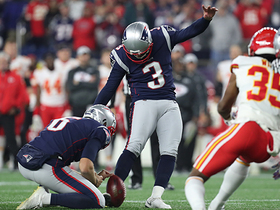 Analysis: Aided by the Mexico City altitude, Gostkowski easily hit a career-best 62-yard attempt in the second quarter of the contest. 10 games into the Patriots' 2017 campaign, Gostkowski is on pace to rack up 167 points. His previous season-high is 158 points. 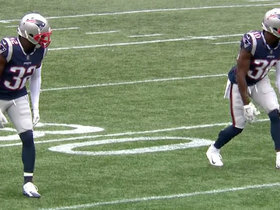 Gostkowski made both of his field-goal attempts en route to recording 11 points in Sunday's 41-16 win over the Broncos. Analysis: Now past his bye week, Gostkowski remains one of fantasy's more reliable kickers while working behind the Patriots' prolific offense. He's scored in double digits in five of his last six outings and is averaging 10.1 points per game on the season.